Hong Kong Airlines CMO George Liu has left the company – he broke the news of his departure via a post on his personal LinkedIn account. In his post, Liu said he left the company on 2 February and expressed his gratitude to business partners, regulatory agencies, media and influencers. Liu, one of the judges of Marketing Excellence Awards 2018, joined Hong Kong Airlines’ in March 2017. He was responsible for leading the airline’s branding, marketing, communications, and bringing customer experience in line with the overall company during the transition and business expansion from a regional airline to an international carrier. During his two-year stint, Hong Kong Airlines has expanded services to San Francisco, Los Angeles and Vancouver. Marketing has reached out to Hong Kong Airlines for comment but it has not yet issued a statement on Liu’s departure. We also reached out to Liu himself who told us “I have completed my two-year contract” as the reason for his leaving but gave no details as to where he would be going next. 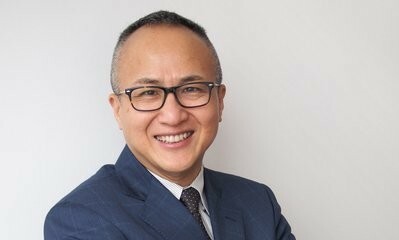 Prior to his position in Hong Kong Airlines, Liu had earned over 25 years of experience in brand strategy, marketing, communications, customer relations, and government affairs. He previously served as the director, airline global brand, and marketing at Boeing Commercial Airplanes, and was based in the United States for 10 years where he managed strategic partnerships with customer airlines. Prior to that, he was vice president of communications at Boeing China. Liu also held several senior management positions with agencies including Weber Shandwick and Golin/Harris (now part of Inter Public Group)and represented the Government of Hong Kong Special Administrative Region in the U.S. In January, Hong Kong Airlines clarified that it’s able to meet financial obligations and had no concern over cash-flow problems. Meanwhile, at least six management have left the company since July 2018, including co-chairman Mung Kin-keung and vice-chairman Tang King-shing. As Hong Kong Airlines is controlled by the HNA Group, the parent company’s financial problems have sparked concern over the operation of its airlines. Hong Kong Airlines has been challenging Cathay Pacific’s dominance of long-haul routes in recent years. But a source said the HNA Group-controlled airline would begin to slow its expansion plan.